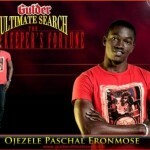 Gulder Ultimate Search Season 10 edition started on Friday 4th of October, 2013 and this year’s Ultimate search come with something new. It is not only the participants that go into the jungle that will ultimate price, fans also have the chance of winning a brand new jeep. It has never been done before and that is why this year edition brings something special for the fans. Lots of other prices are available for the fans to win as you’re going to get to know all what is available for the fan to win as you read along. But before telling you all about what fans will win and how you as fan can win the wonderful prices line-up for the fans. 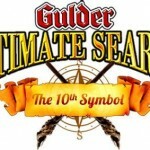 You need to know all about the programme of this year Gulder Ultimate Search Season 10 tagged “The 10th Symbol”. 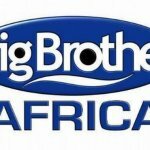 You as a fan have the opportunity to watch the reality TV programme on Africa Magic (DStv), Ebonylife TV, Realstar, WapTV, ESBS, AKBC from 10pm. AIT and Galaxy TV will also broadcast the highlights of the show from 10:30pm. Marketing manager, Gulder, Legend and Life, Nigerian Breweries Plc, Mr. Emmanuel Agu, said, a lucky viewer (fan) will drive home a brand new jeep by participating in the first ever Gulder Ultimate Search Fans edition. To qualify, contestants have to buy bottles of Gulder beer and look under the crown corks for unique codes. This code will then be sent to 20388, along with the consumer’s name, age and state. The consumer will then receive SMSs with questions from clues related to the GUS 10 transmitted on TV. 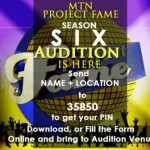 They can also participate via mobile web: which involves logging on www.gulderultimatesearch.tv, registering their details and entering the crown cork codes to provide answers to the questions. 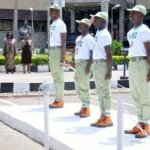 Consumers that correctly answer six questions will get the opportunity to answer the Anchor man’s challenge which will be released on the seventh day by 11pm. Mouth-watering prizes such as Gulder Gift Packs, units of DStv Walkas, 300 Dual-Sim Android phones, 50 tablets and N5 million worth of recharge cards will be won by viewers that successfully answer the Anchor man’s challenge. By the fourth week, the first 12 to correctly answer the Anchor man’s challenge will qualify for a chance to participate in a one day Final Search. The Fan’s edition ultimate winner will get the chance to win a brand new Mitsubishi Pajero 3.0L GLX MT.